Create a bingo game here with our free printable sets for every occasion. Make traveling more fun with printable travel bingo games and don't forget to have a look at our other fun road trip games. Here you will find many different themes of free printable game cards with instructions, created especially for you here at Fun Stuff To Do as well as some others we love! 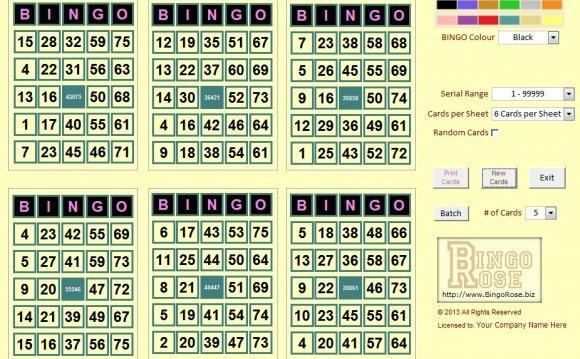 Plus we've made it easy for you to create your own free games with our clear printable bingo grid! Have fun, enjoy your trip and we hope you enjoy playing and creating these games as much as we do! Select one of the ready-made printable cards or print the clear grid to create your own! Read the instructions on the printable cards and create as many cards as you wish for the number of players that will play with you. Remember: The pictures of each card for each player must be in a different order - you will find the full instructions for this on the free printable pages. Nature, Seaside, Traffic, Countryside or Transport and print. Use this printable clear grid to create as many bingo games as you wish! It is very simple; all you need is 16 different pictures! Once you have your 16 pictures you can copy them with a photo copier for the number of players to create cards that have the same pictures, but in a different order. You simply cut them out and glue them to the clear grid - each card in a different order (your players can do this themselves). You can also choose the easier route, by simply writing letters, numbers or simple words in each block. Tell each player to start in a different line when starting to fill their blocks, left to right, right to left, across, up or down etc. To make your games more fun, let players use interesting objects to mark off the items in their blocks. You can use Jelly beans at Easter, Wrapped round chocolates at Thanksgiving, Heart shaped candies on Valentines, M&M's for Birthdays and so forth. Be original, fill a bowl with your favorite treats and players get to eat them once the game is done! Super for those l-o-n-g trips! Crayola comes to the rescue with travel bingo cards to color in! Go to: CRAYOLA - or click on the image below and simply print 4 different sets of these little beauties right now!